The Track, and Big Kahuna's are the only amusement parks in the city of destin. The Florida Gulfarium is about 7 miles west of Destin on Hwy.98, an easy drive. Both of these two destin amusement parks are located on destin's east side, at the heart of the hotel and condo district. If you are coming to destin try our new Florida Hotel Directory, which has destin area hotels too. Destin Attractions Big Kahunas Destin Waterpark. 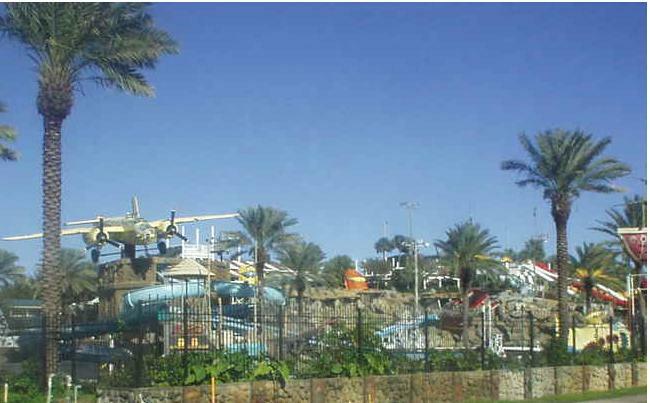 Big Kahuna's water park is another area attraction popular with Destin visitors. Big Kahuna's is on U.S. Hwy. 98 on Destin's east side, you can't miss it. If you have a rain out while you are here another neat place to visit is the naval aviation museum in Pensacola, about 60 miles east of destin. The museum has an I MAX theater and can take around a day to see. Although a fair drive it is a good activity on a rainy day.